Back in May, I came back home after meeting some of the most amazing people during a photography retreat in the southern countryside of France, hosted by Brooke Shaden. For the most part, everyone from the trip lived in different corners around the world, except for a few of my new friends, Tom and Marisa. We discovered that we only live three hours away from each other at the farthest distance. So, a week after returning home, reality, and to school, we collaborated a meet up and now have been doing so every month since. Our first meet up was at Great Falls Park, on the Virginia/Maryland border. This was my first time ever in the area and the location Marisa chose was absolutely amazing. Lush forests, grand rock formations and cliffs surrounding a gushing river down below. Autumn joined us as our model for the day on our adventure. She was simply amazing at everything she did and made us laugh more than a few times. We scaled the rocks with our equipment and I fell in love with the entire location. Usually on shoots like these I focus on shooting one photograph, but I was so inspired by everything going on I shot three amazing photos that I’m so excited to share with you shortly! We’ve had two other photo shoots together since this trip and we just returned to Great Falls Park yesterday from an other adventure. I can tell you that I bravely walked through rushing water scaling down the side of the mountain, positioned myself on a slimy rock, and posed with an anchor I found back in February. I can’t wait to start editing! After admiring the rapids and the amazing cliffs and rocks, we pack our gear, wardrobe, and props, and climbed back up to the trail in the park. But before that though, I poked my head over while I was shooting textures of the rocks and saw a beautifully secluded spot for one more photo. So excited to share that next friday! We hiked back up the trail and walked over to a spot we wanted to revisit on our way to the river. It was almost like nature was giving us a stage to use for Autumn. I love how the boulders dominate the landscape out there. In a way it makes me feel small. Not in any bad sort of way though, but more in a child like sense. I mean, put any dog in front of me and I turn into a five year old, but being in an environment where you lose track of your own sense of scale is fun and interesting. While Marisa set up for her photo, I wandered off the trail to explore, only to have a run in with a 3ft long black snake that I had no intentions of getting any nearer than I already was. I quickly regrouped with Tom and Marisa, and helped throw the cape for Marisa's shot. 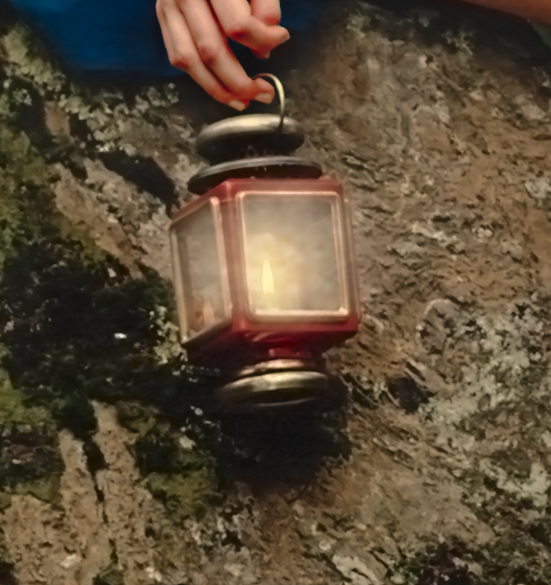 I set up afterwords and shot Autumn with this gas lantern I came across of in a thrift shop a few weeks earlier. 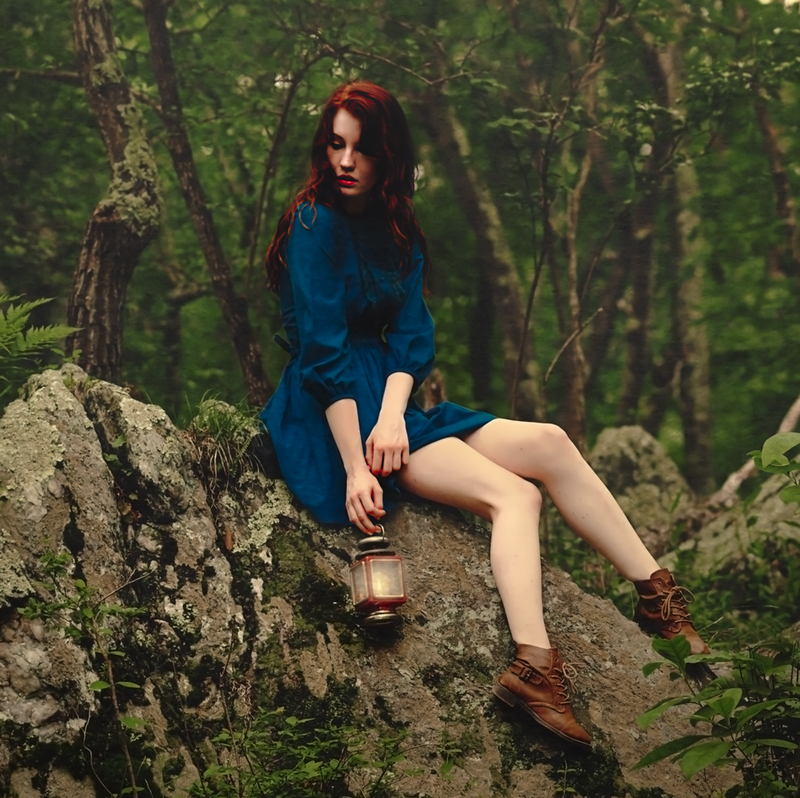 I love her gentle expression in the image, and how the color of her hair and dress pop out from the foliage. The landscape out in Virginia is amazing. When we were on the cliffs by the river, I scouted the location as Tom and Marisa were shooting Autumn. As I was climbing, I stumbled upon this private alcove on the edge of the water, cast in complete shadows and secluded enough to shoot this concept of The Birth of Venus. Immediately finding this spot triggered that image in my mind and I wanted to shoot an image to interpret that. I stood high up on the cliffs and shot handheld (which I hardly ever do for expanding my frame). There wasn't a way for my tripod to be used in this situation, so I knew I had shot enough to have the whole scene overlapped. I really love how the color and tonality of this image. The light almost makes it look as if she's glowing. This photograph is my personal favorite from that day.